Thanks for liking my creations-warms my heart to even have you check in! The felted yarn basket was well received last night and that was a relief. I am tired today. And I need to clean, badly. So today I have a “share” for you. In your free time this weekend this weekend ( if you have any or find any) go to Deidre Adam’s blog and follow her posts on her recent commission process. I read this and re-read this and stayed awake all night thinking-my mind was just buzzing with the possibilities. I always have lots of possibilities. And that makes my day job very exciting. 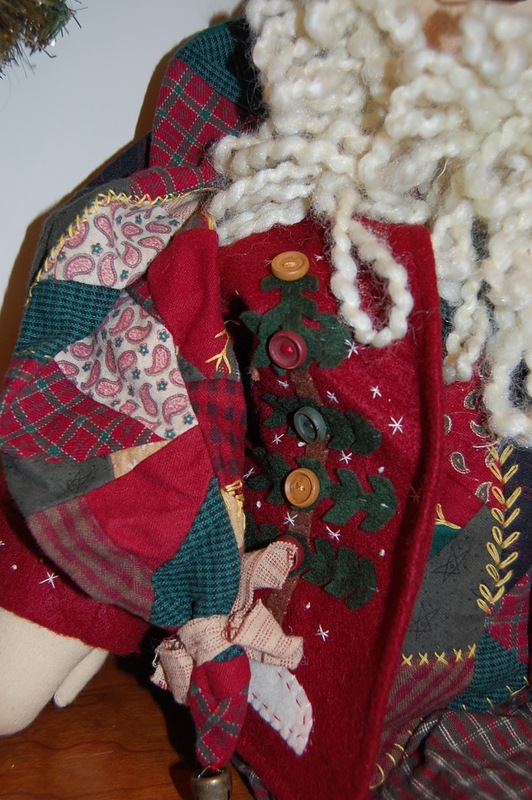 This entry was posted in inspiration on December 16, 2011 by Colleen Kole. In case you are looking for quilty things or books to put on your wish list for Christmas, I will spend the next few days reviewing some books and notions I have put to good use over the past few months. If I spend money on anything or am a sucker for anything, it’s the books. My book wish list is always long and I do read the instructional books, sometimes from cover to cover. So, in no particular order or preference, here we go. 1. Instinctive Quilt Art by Bethan Ash. This is a newly published book recommended on Lisa Call‘s blog a month or so ago. It is a beautiful cloth covered book that really is nice to touch. Other than the touch factor:), the contents regarding improvisational quilting really are superb. It is divided into exercises and examples from many influential art quilters: Bethan Ash, Lisa Call, Terri Jarrod-Dimond, Elizabeth Brimelow and the list goes on. It is definitely an instructional book with many , many pictures to inspire as well. 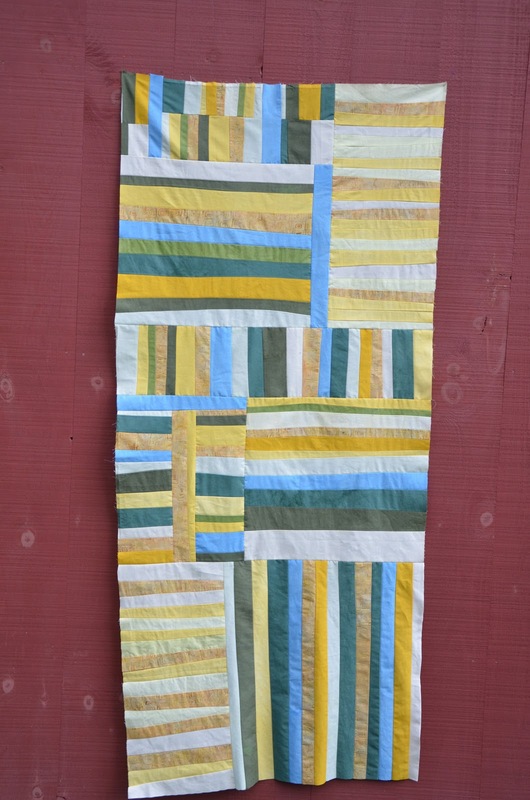 Techniques are mainly fused but could easily be adapted to pieced quilts. Worth the money! 2. Finding Your Own Visual Language by Jane Dunnewold, Claire Benn and Leslie Morgan. I purchased this book when I went to their workshop last spring and had put it away until fall. I have enjoyed some of the visual exercises (am still at the beginning of the exercises) and this is another must have for purposes of making your own mark on fabric or with fabric. It is not just a surface design technique book, but a means of digging deep and expressing yourself with your medium. Another must have and again, worth the money. 3. Dyes and Paints by Elin Noble. This is a book I have borrowed from a friend and one I am reading a chapter at a time. It is a thorough explanation of applying color to fabric and it is filling in the gaps of the other technique books I have on dyeing. Every “famous” fabric dyer had their own methodology even though the process is basically the same. Elin, from what I have read so far, has freely shared both the science behind why it works and how it works. I love this book and wish I would have purchased it three years ago when I first started dyeing fabric. It’s on my wish list for Christmas. That’s a start for you to puruse and I ‘ll have more tomorrow. Do you have any good reads you would like to pass on? 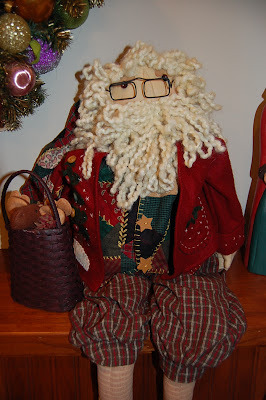 This entry was posted in books, Christmas 2011, inspiration on December 7, 2011 by Colleen Kole. Last week, I squeezed in a workshop from our local West Michigan Quilter’s Guild titled “Sashiko : A Good Fortune Wallhanging”. The workshop was given by Sheila De Rose who specializes in Japanese quilting and Japanese design. There were only four crazy people taking a class the week of Thanksgiving so we received lots of extra attention. Sheila has traveled to Japan and is very knowledgeable in all aspects of fabrics, patterns and needlework of Japan. She brought in her fabric boards and I loved the shibori and the actual sashiko fabrics. I had thought sashiko was just the blue needlework stitch on white but there is actual sashiko fabric. Sheila has a new book being published called “The Art of Elegance” coming out soon. She did an excellent job at the night lecture of explaining the Japanese use of color and design principles. I really enjoyed it. The start of my wallhanging and, yes, I did measure and try to match seams! I can still do it if I need to. The piece will have sashiko stitched centers over a star pattern. Now I have two wintertime hand stitching projects to do. Why was I interested in this class? Long ago, I started a fabric collection of Japanese quilting fabrics and just never knew what to do with them but truly wanted to use them authentically. Now, I know how. But time to get to work this morning on the Christmas presents. Anyone else making presents? This entry was posted in inspiration, japanese quilting, workshops on November 28, 2011 by Colleen Kole. I have enjoyed watching and listening to this more than once. In truth, it brought tears to my eyes the first time I watched it and reminded me of why I create-for the sake of simple beauty. Robin Ferrier is a very talented artist and I have enjoyed her amazing gift with color in her quilts and also her instinctive gift with photography. Way to go Robin! Her “simple” is more than pleasing to the eye. Enjoy. I am off to a workshop tomorrow. Will share soon. I did finish my little doll quilt and hope a little girl enjoys this small gift and doll. This entry was posted in inspiration on November 21, 2011 by Colleen Kole. Snuck down for a few hours on Thursday afternoon and I just am having way too much fun. More pictures for you. On a grey and gloomy afternoon, it was pretty obvious that I was drawn to the bright colors. For the most part, I have followed each piece with the artist’s name. Quite a few of the artist were still standing by their pieces, so I enjoyed talking with them and have them share a little about their process or their inspiration. But, what I enjoyed the most was the excitement in their eyes when you shared with them how much you appreciated their art and why. This event has given them a time to shine and dream again. And how absolutely great is that. Be inspired and creative, my friends. This entry was posted in Artprize 2011, inspiration on September 24, 2011 by Colleen Kole. I am trying in some small way trying to redeem myself from my last small piece. It didn’t really portray what I wanted it too. So I tried again- I just wanted a simple abstract piece which reflected the colors of my Vermont meadow. This is too simple for me so I guess I need to try again until I get it right. I always resort to this simple design of strip piecing to jumpstart my design process again. Sure wish I didn’t have to. But , I do and I did. It bugs me to slide backwards. Kind of a warm-up? I don’t know but I just did it. But the best part about this piece-I am on my way back again to sewing. And it felt really good to sew again. I will take it home next week when we go back to Michigan and start quilting it. Ever onward. Now that I see it here -I feel like it needs to be twice as wide and it’s missing the other half….Sometimes they just keep getting bigger. I have another piece on my design wall which I would love to get pieced before I leave…. don’t know if that will be realistic but it is a good stretch goal. 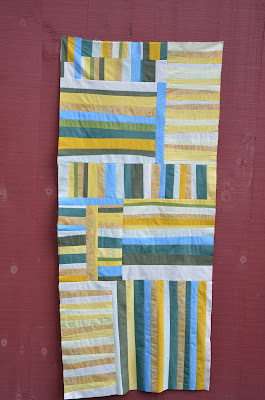 This entry was posted in improvisational quilting, inspiration, quilts 2011, Vermont on August 12, 2011 by Colleen Kole. 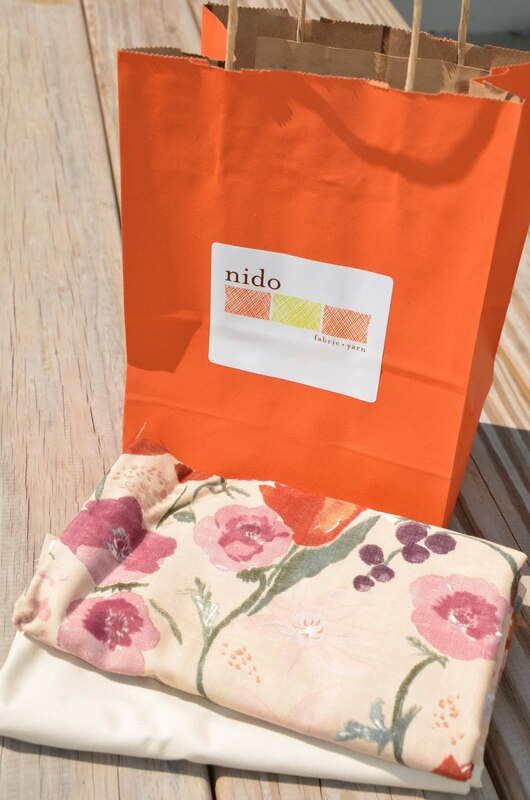 If I had my own store, I would have one that looked exactly like a new store I visited this weekend in Burlington called Nido. It was in a beautiful second floor setting of an old building with exposed brick walls in the heart of Burlington city. 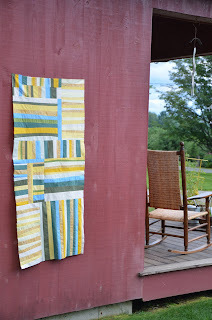 The brick walls set off the crisp racks of fabric and this was one of a kind fabric from Ink and Spindle, Japanese fabrics , Denise Schmydt fabrics , fabric packs and , of course, cotton solids. Despite being in an old building, it was light, bright and airy. Everything was displayed so nicely. Too bad I spent most of my money at the Vermont Quilt Festival because I could have spent a lot on the cotton voiles and yarns from local Vermont artists. Beautiful yarns. A few solid wooden tables were off to the right for classes and it was all part of the same space as the shop. What a great way for newcomers to catch the excitement of a class. Best of all, no sewing machine sales. I loved that the owner ( I think) wasn’t thinking about what machine she might like me to buy. Just what I came in there for. Fabric or yarn. 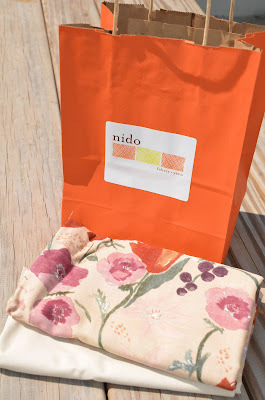 If you are ever in the area, stop and see Nido. Otherwise , check them out on their website. They were eager to please and often, you just don’t find that anymore! Be creative, my friends! As I stitch away, I am daydreaming of what I would want if I had my own store….and not the hours I would have to work to keep it going. This entry was posted in inspiration, Vermont on July 19, 2011 by Colleen Kole. Well, that didn’t take a week, did it? Just a quick thought to remind myself: I want to feel free enough to create fabric like she is working with paper and watercolors: Alisa Burke. I am getting excited to see one of my pieces at the Vermont Quilt Festival this weekend and , of course, go to two classes there. See you when I get to Vermont, maybe Thursday…. This entry was posted in inspiration on June 20, 2011 by Colleen Kole. I was reading through my favorite blogs and this one really made me stop and think .Tara Gentile in her blog, Scoutie Girl, asked us to comment or leave a link to her question today. As I am just starting a few last minute Christmas gifts to tuck with packages last night, I was asking myself the same question. Let me try to sum it up for you so don’t fall asleep. The Process: I love the process of designing and stitching with needle and thread on fabric. Adding any kind of handstitiching just really pleases me and I find it relaxing. I enjoy sharing the process with others-belonging to groups , teaching my kids how to sew or just giving what I have made to others. So the process and sharing in the product of the process. The Completion: I enjoy the satisfaction of finishing a project and knowing that I did my best on it. If I didn’t feel like it was my best work, I enjoy completing it just for the process of knowing what I learned from it and knowing I pushed through some kind of a new barrier. So many of my tasks that I complete, are undone quickly and need to be re-done:dishes, housework, etc. This one stays done and hopefully is pleasing to look at. The Spontaneity of It: Doing something spontaneous on the design wall or just with my hands is an extra treat in my planned out days and duties. Sometimes feels like a naughty pleasure…it shouldn’t I know but so many things need to be done -not the want to do things- the needs always call me as they have to be done. Uniquely Me: What I make is uniquely from my hands, heart and mind. It is me being creative and thinking through and loving the process. No one else will make it just like I have. Don’t mean in anyway to sound vain. Just hope that the passion I have for creating and making things will show through with what I make and give this Christmas. I am not me without creating something with needle , thread and my hands! So, my friends, why do you make? Be creative- we have a snow day today. I love it. 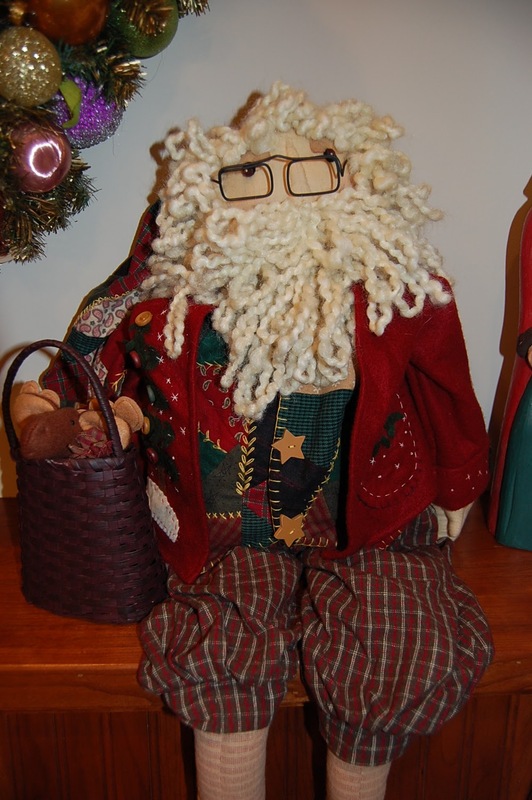 This entry was posted in Hand crafted, inspiration on December 13, 2010 by Colleen Kole.